The Short Version: Jack Peter Keenan, a ten-year-old with Asperger’s, won’t go out of the house after a traumatic near-drowning at age seven. But as Christmas approaches in his tenth year, he begins to draw strange pictures – pictures that bring his mother, father, and best friend into a strange world of imagination and deadly possibility out on the Maine coast. The Review: I’ve said this before: there is something inherently creepy-mystical about the coast of Maine. The way the fog rolls in, the way the coastline is simultaneously some comfy and yet so inhospitable, the way winter can incapacitate, and so on. And it seems like such a great setting for a scary story – so why, then, does this one fail to coalesce, like a ghost who can’t quite manifest? The pieces are all there and there’s even a realistic, nuanced portrayal of an on-the-spectrum child – but instead of coming together as a scary or even spooky thriller, the novel seems to judder and shake apart without ever gaining momentum. Let’s start with the spooky and work out from there. And, quite frankly, this is the book’s biggest failing: it’s not scary. The scariest moments are the smallest: the sound from the closet, the tapping on the window, the inescapable draw of sleep and therefore missing a crucial moment. None of the larger moments, like the strange monster-man or the dog, feel like anything other than something glimpsed out of the corner of your eye – and not in a scary way. They feel as though the author didn’t commit to them and as such they remain hazy, unformed, and ultimately forgettable. Instead, it’s the relationships between the characters that feel like they’re where the real horror could have occurred – but Donohue skews his story elsewhere, despite hints of it all over the place. The relationship between Jip (Jack Peter’s nickname – also, what a weird double name, “Jack Peter”) and Nick Weller, his childhood best friend, has a lot of potential for creepy-child stuff – and, to Donohue’s credit, he doesn’t take the route of explaining away Jip’s creepiness by means of his Asperger’s. In fact, the depiction of his complex inner world and the struggles that those around him endure to try and get through to him are moving and powerful in a way that few authors really ever achieve with writing about on-the-spectrum children. But there’s no mistaking it: Jip is a creepy kid and he clearly has some kind of power – so why is it that, by the end of the story, we aren’t even a little scared of him? The rest of the cast seems to be, but we as readers aren’t, even in the face of the final act set pieces. It’s terribly disappointing. Meanwhile, Jack Peter’s parents (Holly + Tim) get spooky occurrences of their own (albeit related to Jip’s drawings), including ghostly tales told by an old priest about a shipwreck and visions of strange creatures on the highway. But again, these things are introduced and then held at arm’s length, creating a thoroughly unengaging reading experience. 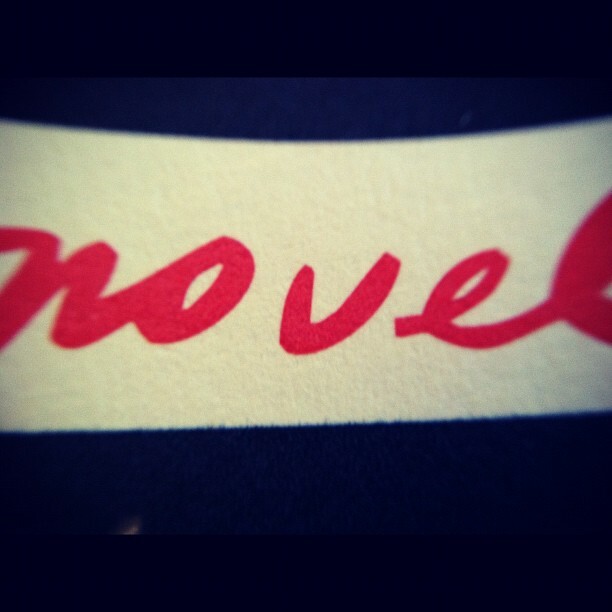 Every time something happened in the novel, I just seemed to snap out of it as though the frame was out of focus. Or as though the author’s attention was somewhere else. And perhaps that is the best way to put it. The unspoken covenant between reader and author is that we’re both believing in the world that has been created on the page, in one way or another – because if we don’t both believe, the magic doesn’t work. Perhaps the author believes but the reader doesn’t, which is a totally acceptable circumstance: it happens all the time with books you don’t particularly enjoy. And even sometimes when the author doesn’t believe, the reader might – look at any long-running children’s series, for example. But when neither is biting, when the author doesn’t seem invested in what they’re writing and when the reader too lacks the hook to prick the imagination, it can border on deadly. And for a horror novel, this fails to hit any of its marks. But it’s not all bad, is the thing. Again, the depiction of Jip’s inner life and the struggle incurred by his friends and family is really moving. And even the adult relationships, the way that they are messy and oblique, inspires (unfulfilled) promise for the rest of the novel. A recurring and unclear subplot dealing with Tim’s brief infidelity is fascinating to me – especially considering how the relationships all (not just Tim and Holly, but theirs with the other parties involved) continue in a moderately friendly fashion. Really compelling stuff, at least on an interest level – but it doesn’t seem to be Donohue’s target and so it falls to the wayside. Rating: 2.5 out of 5. Ultimately forgettable, both in concept and in execution. There are things done well here, like the presentation of Jack Peter’s Asperger’s, but the haunts and frights are neither haunting nor frightening. Even the moments of real-life scary (fights between your parents, nightmares at a young age, etc) don’t land with all that much weight and I’m left wondering how much the author cared about the story he was telling. For some reason, to this reader, it feels like not very much at all. I also had mixed feelings about this book, to the point that I’m on the fence about reviewing it at all, just because it didn’t make a strong impression on me either way. I will say that I’m easily scared, so I think I found the book a little more unsettling than you did (though certainly not as scary as some of its reviews would lead you to believe it is). And like you, I think that Donahue handled the sections from Jip’s point of view really well–there was something just slightly off about them, but not ostentatiously so. My biggest complaint about the novel was ultimately that it seemed to lack the depth that would make it anything other than a run-of-the-mill thriller; the twist at the end (to Donahue’s credit, not the one I was expecting for most of the novel) felt like it ought to have added layers of complexity, but it felt tacked on to me, and didn’t really seem to deepen my understanding of any of the relationships between the characters. Meant “Donohue,” of course–that will teach me to comment before I’ve finished my morning coffee. Very well said about the ending – wasn’t the twist I expected / felt totally tacked on as though it was added in order to subvert the reader’s expectations, not further the actual story/characters at all. I think you hit the nail on the proverbial head. Nice review.